The term ‘Control’ is multi-defining, but it all boils down to one meaning: the ability to take hold of something. This ‘something’ can be anything, either a material thing or even a situation or even emotions. And controlling things that are in your control, is an art that everyone should learn and imbibe in life! So let’s talk about the WWWH of Self-Control. Self-Control is the ability to control oneself, in particular one’s emotions and desires, especially in difficult situations. 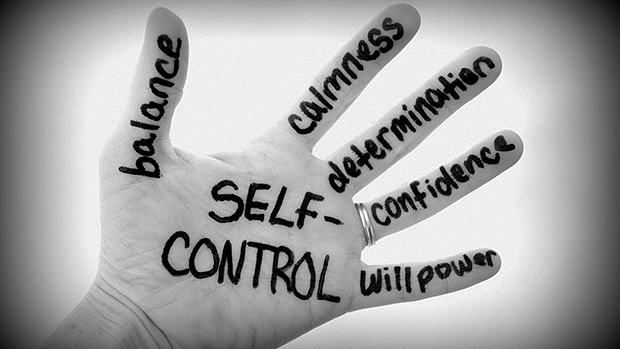 The art of self-control is one of the importance deciding factors for an individual’s outlook on happiness and success. Most of the times, we give in to extra stress because we focus on the thoughts and situations which could happen due to others reactions. Think about it, is it in our control? No! Hence, its better to focus on things that you can control and work around the situation in that way. Its not necessary to react to every situation which you are into. Silence has immense power, and picking up which situations require your reaction is in your control, which in-turn will help you have better control over a rush of emotions and more inner peace. Self-Control is directly related to Consistency. When you have a goal set for yourself, and you feel like giving it up during the course, think of the opposite outcome if you give-up: You will not see the change you desire, you’ll feel let down by your own self and it will lead to failure, and, negativity will take over your thought process – hence consistency can be imbibed through Control over things that make you feel like ‘giving-up’. This point is somehow in continuation with the previous point. Learning to say ‘No’ whenever those temptations are trying to get over you, practicing the act of saying ‘NO’ to your inner self first, and then staying away from those negating temptations can really help you amp your Self-Control. Meditation helps you channelize your mind and you get a clearer insight to all the thoughts and emotions inside your mind. It will help you set your goals and visions, and practicing meditation everyday will help you become more and more inclined towards sticking to the changes that you wish to incorporate in your life.